Today, we address what I consider to be the third aspect of a genuine wealth management program – distributions and transfers of one’s assets. Distribution encompasses both transfers made while one is living, inter vivos transfers, and transfers made after one’s death, testamentary or postmortem transfers. One of most common distribution mistakes people make is failing to properly complete the beneficiary forms associated with their retirement plans so as to maximize the benefits such assets by avoiding the impact of taxes. By carefully considering who to designate as their beneficiaries and properly completing the beneficiary form to ensure the most effective distribution of the assets in their plan, the plan owner can effectively “stretch” the lifetime of the assets to benefit more than just the beneficiaries they designate. For those who have a large balance in their pension account, it may be better to have a custom beneficiary form drafted to ensure the maximum benefit and protection for the assets within their personal account. Another consideration regarding beneficiary forms has to do with the consolidation that has taken place within the banking and investment industries. It is not uncommon for people to contact a bank or broker-dealer after the death of a loved one and request a distribution of a loved one’s IRA account, only to be told that the bank or broker-dealer cannot find the beneficiary form for the account. In such instances the bank or broker-dealer will enforce the default distribution provision on the account, which are generally not in the best interests of the deceased’s heirs, as the usually result in a heavier tax impact and thus, a significant reduction in the amount of assets going to the heirs. Loss of beneficiary forms can also occur in connection with 401(k), 403(b) and 457(b). Bottom line, owners of retirement plans should review their beneficiary forms regularly in order to verify that the custodian of a plan has the owner’s beneficiary form on file and that the forms still accurately reflects the account owner’s wishes. There are numerous cases where the retirement account owner has divorced and remarried, but failed to change the beneficiary forms on his retirement account(s). The Supreme Court has ruled that even though it would make sense that the deceased would want to leave at least a portion of his retirement account assets to his current wife, the terms set out in a retirement account beneficiary form control distributions from said retirement account, regardless of what is stated in the deceased’s will. A common misconception about wealth distribution planning is that it has to be complicated. A common, yet simple, inter vivos wealth transfer strategy is the use of the annual gift tax exclusion amount. This exclusion allows an individual to give a certain amount each yer to as many recipients as they wish without triggering any federal gift tax. The annual gift tax exclusion amount for 2019 is $15,000. Married couples can maximize the benefits of the annual gift tax exclusion by each making a qualifying gift. That means for 2019, a couple with three children could give each child $30.000 annually, effectively reducing the size of a taxable estate if that is a goal. – IDGT trusts are drafted so that the trust’s assets are removed from the grantor’s estate, but drafted in such a way that the grantor, not the trust, is liable for any annual income tax owed by the trust, allowing the grantor to pay such taxes, providing a further reduction of the grantor taxable estate and to allow the trust’s asset to benefit from compound growth. – Income-only trust are drafted in such as way as to remove the trust’s assets from the grantor’s estate, but to provide income to the grantor on an ongoing basis. These trusts are often used in attempting to qualify for benefit programs such as Medicaid. – Special needs trusts (SNTs) are established to provide financial aid to injured or otherwise challenged individuals. SNTs must be carefully drafted in order to preserve the beneficiary’s potential right to important government benefits. As we mentioned in our previous post, the effectiveness of a trust in providing wealth management advantages is based largely on the amount of control retained by the person establishing the trust, the grantor.. The more control the grantor retains over the assets while in the trust, the less protection provided. The rules in this area have changed dramatically in the past few years, most changes providing potentially significant tax savings for an estate, thereby allowing taxpayers to pass more of their assets to their heirs. For that reason, if you have had any estate planning done in the past, you should definitely have your planning reviewed to see if such plans are still effective and/or whether changes might be advisable that make them even more effective. A full explanation of all the changes is beyond the scope of this blog and not advisable, since the appropriate estate planning strategy for anyone depends any number or interrelated variables. Overall, the recent changes in the tax code relative to estate taxes have resulted in most people not owing any federal estate taxes upon their death. Again, less taxes means more assets to pass on to one’s heirs. One such change that has benefited many taxpayers has been the so-called “portability” rules. The portability rules generally allow a surviving spouse to take advantage of the unused portion of her deceased spouse’s unused federal estate tax exemption. In the past, estate planners would often recommend that a couple equalize their estates to make sure that they maximized the benefits of the federal estate tax exemption. With the new portability rules, estate equalization is no longer necessary. A common trust strategy used with married couples is the so-called “A-B Trust” plan. In this strategy, the will directs that the executor fund one trust, the so-called “bypass trust,” with the applicable estate tax exclusion amount and place any remaining assets in a trust that qualifies for the unlimited marital deduction. The applicable estate tax exclusion amount for 2019 is $11.4 million dollars. That amount is subject to an annual adjustment based on inflation. Another reason to review your estate plan annually. Assuming the marital trust is set-up properly, the use of the marital trust defers any potential taxation of the marital trust’s assets until the death of the surviving spouse, with any tax being based on any asset remaining in the trust that is not otherwise exempted from taxation. The terms of the “bypass trust” usually provide for distribution of the trust’s assets upon the death of the surviving spouse in accordance with whatever terms are provided, with the distribution of the trust’s principal being tax-free. In such cases, a beneficiary may choose to disclaim a distribution. The disclaimed distribution is treated as if it were never made and is distributed in accordance with instructions in the will. Effectively disclaiming a distribution should only be done with the assistance of an experienced estate planning attorney in order to avoid potentially serious tax issues. Disclaimers are often used when the distribution will result in other family members, who are also beneficiaries under the will, receiving the disclaimed assets. Disclaimers, when done properly, can be a very effective tax planning and wealth management strategy. However, it is important for anyone considering a disclaimer to understand that if a beneficiary disclaims a distribution under a will, the beneficiary does not get to designate someone to receive the disclaimed distribution. Many people mistakenly believe that wealth preservation is only for high net worth individuals who needs trusts and other expensive asset protection tools and strategies. In truth, the most effective and easiest wealth preservation strategy is to effectively diversify all investment accounts, including 401(k) accounts and IRAs, and avoid unnecessary costs by only selecting cost-efficient investments. With regard to wealth management, I analyze a clients’ current investment portfolio in overall suitability and efficiency, in terms of both cost and risk management. I draw heavily on over thirty years of experience in the area of quality of financial advice, including various stints as a compliance director. both for general securities and investment adviser operations. I also analyze a client’s investment and financial situation in terms of the client’s overall financial needs and plans. As an example, variable annuities can basically destroy a client’s estate plan is the client annuitizes the annuity prior to his/her death by removing the asset from the estate plan. A variable annuity can also have serious implications for those who need Medicaid later in life. These are all issues which should really be considered prior to investing, but definitely analyzed at some point in case steps should be considered to minimize any potential damage. Tax planning is an obvious part of wealth management. As legendary jurist Judge Learned Hand stated, there is nothing wrong or illegal with arranging one’s affairs so as to minimize taxes. Losses due to taxes obviously reduce wealth and can significantly reduce one’s estate. Tax laws can impact investment choices, e.g., Traditional IRAs vs Roth IRAs, tax deferred investments options vs. non-tax deferred investment options. Tax laws can impact estate plans e.g., estate equalization strategies, marital property considerations, disclaimer strategies. With the constant change in tax laws, it is critical that clients utilize all possible resources, including tax attorneys and CPAs, in order to keep their comprehensive wealth management up-to-date with regard to tax planning. Estate planning focuses on the efficient distribution of one’s estate. Efficient distribution focuses on both ensuring that the deceased’s last wishes are honored, but also that the estate is not greatly reduced due to the impact of taxes. We will discuss estate planning more in next week’s post on distribution. For now, let’s just say that there are a number of strategies, including estate equalization, trusts and qualified disclaimers that can be used as part of an effective wealth management process. Finally, studies consistently show that the public wants to know about asset protection strategies, particularly the use of asset protection trusts. There are basically two types of asset protection trust – domestic asset protection trust (DAPTs) and foreign asset protection trusts (FAPTs). The most popular domestic jurisdictions are currently Nevada, Delaware, Alaska and South Dakota. Popular foreign jurisdictions include the Cook Islands, Nevis, Isle of Man and the Cayman Islands. In choosing a jurisdiction for an asset protection trust, there are several things to consider. First and foremost, the asset protection laws differ from jurisdiction to jurisdiction. Two of the most important legal issues to consider are the statute of limitations (SLs)/contestability provisions and the exceptions from protection. The optimum situation is a jurisdiction with short SL/contestability period and as few exceptions as possible. With DAPTs, there is also the issue of whether the DAPT state will honor and enforce a judgement from another state under the “full faith and credit” provision of the U.S. Constitution. I have a lot of people contact me and say they are going to be sued, so they need an asset protection trust…now! Then I explain a couple of things of things about asset protection trusts, such as (1) asset protection trusts cannot be used to perpetuate fraud; (2) the earlier an asset protection trust is created, the greater the protection; and (3) the effectiveness of an asset protection trust is inversely related to the amount of rights and powers retained by the trust’s grantor. In many cases, it is too late to create an effective asset protection trust, as the event creating the liability has already occurred. The key to effective wealth preservation is not to view wealth preservation in isolation, but rather as part of a comprehensive wealth management plan. Wealth preservation involves various aspects of the law, including wealth management, tax planning, estate planning, retirement distribution planning and asset protection. The key is to also create a strong team of professionals experienced in these areas and work towards the client’ goals and needs. As promised, over the next few I will discuss what I believe are the three aspects of real wealth management – accumulation, protection/preservation and distribution. Most of the posts and white papers on wealth management deal with the accumulation phase. Rather than repeat such information, I will just recommend that readers review the post and white papers that are relevant to their situation. In particular, I recommend that readers read the white papers on variable annuities, faux financial planning and the Active Management Value Ratio™ 3.0 (AMVR). Two of the most important factors in the accumulation phase are controlling costs and risk management. The Department of Labor has estimated that each 1 percent of fees and expenses reduces an investor’s end return by approximately 17 percent over a twenty year period. A good example of the damaging impact of unnecessary cost is variable annuities. A common saying in the investment industry is that “annuities are sold, not bought.” There’s a very good reasons for that saying. 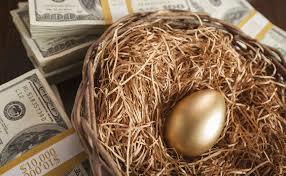 The average annual M&E expenses, i.e., the death benefit for variable annuities is approximately 2-2.5 percent. Add in another 1 percent for the annual expense fee for the sub-accounts within the annuity, and an investor is looking at a 51 percent reduction in their end return at the end of twenty years. Add in another 1 percent for a so-called “rider. Projected loss in end-return over twenty years is now at 76 percent or over a three-fourths loss in end-returns. Finally, if a financial adviser is charging another 1 percent for managing the variable annuity, the variable annuity owner is looking at a projected 93 percent reduction in their end return. So much for “retirement readiness.” Bet your financial adviser did not explain those numbers to you. For more information about the “secrets” of variable annuities and fixed indexed annuities, click here. We have publicly shared the calculation process for the AMVR ratio, which allows an investment fiduciaries, investors and investors to evaluate the cost efficiency of an actively managed investment. Based upon our own experience, very few actively managed investments can justify their fees, as they fail to outperform less expensive passively managed investments. Investors often overlook the impact of risk on an investment’s performance. One of the best known risk management formulas is the Sharpe ratio, named after its creator, Nobel Prize winner Dr. William F. Sharpe. The Sharpe ratio uses an investment’s return and standard deviation numbers to calculate an investment’s risk adjusted performance. Another area that deserves mention is the use of misleading marketing schemes within the financial services industry. Ads touting “we’re number 1” are common in financial publications. What investors need to realize is that such claims are generally based on relative returns. Therefore, if Fund A only lost 20 percent while Fund B lost 22%…Fund A is number 1! At the same time, a 20 percent loss is a 20 percent loss, when the original idea was to increase one’s wealth. When the market does recover, an investor suffering the 20 percent loss will have to use some of the recovery to make up for such losses, suffering what another “loss” in the form of an opportunity cost. Smart investors know that the real secret to successful wealth management is risk management. The most common form of risk management is efficient asset allocation/diversification. By effectively diversify their investments, creating a portfolio with investments that behave differently in different market environments, an investor can provide upside potential for their investment portfolio while also providing downside protection against market downturns. While it is true that such an approach often prevents huge annual returns, it also prevents against huge investment losses. By preventing huge investment losses, an investor’s portfolio can benefit from the magic of compounding returns. And yet, I continually see people who have chosen to invest in imprudent investments that are actually costing them money in terms of consistent underperformance and/or excessive fees and other costs. Sometimes the poor investment choices are simply due to a lack of investment education. Unfortunately, poor investment choices are the result of poor and misleading investment advice from “investment professionals. I have written several articles on the REAL wealth management investment process that I recommend to clients: accumulation, protection, preservation. Simple, proven, common sense techniques that work. Mutual funds have become the primary investment for most Americans. Chosen wisely, they provide investors with a simple and effective way to accumulate wealth and manage investment risk. Wisely is the operative term. “Investment professionals” sometimes do not disclose all of the information an investors needs to make investment choices, as it would reveal information that would convince an invest not to purchase the “adviser’s” investment products. This inherent conflict of interest has been and continues to be the subject of an intense debate, a legal battle of the best interests. Unfortunately, it appears that the federal regulators have chosen to protect Wall Street instead of investors with the full protection they need. Several years ago I created a metric, the Active Management Value Ratio™ (AMVR) to help protect investors and pension plan plan sponsors. The AMVR is simple and straightforward. I talked my way out of calculus in both high school and college (“I’m going to be an attorney. I don’t need no stinkin’ calculus.”). Therefore, the AMVR requires nothing more than the simple “My Dear Aunt Sally” math skills we learned in elementary school. All of the information needed is freely available online at sites such as morningstar.com, yahoo!finance.com and marketwatch.com. There are a number of articles that discuss the AMVR and the calculation process. I want to discuss in this post is some basic mistakes that I see investors make that cost-investors dearly. Returns – Investors see mutual funds ads that tout a mutual fund’s performance. However, those returns are known as nominal, or stated, returns, and they can be very misleading.For instance, let’s say a mutual fund is claiming an annual return of 20% for the year. Most actively managed mutual funds charge what is called a front-end load, a fancy term for a commission, when an investor purchases shares in their fund. The maximum front-end load that a mutual fund can legally charge is currently 4.50%.Mutual funds immediately deduct a fund’s front-end load at the time of purchase. This reduces the amount of money you have in the fund, and thus the amount of return an investor will receive.For example, on initial purchase of $100,000 of a fund that charges a 4.50% front end load, an investor will actually only have $95,500 invested in the fund. A 10% return on the original investment of $100,000 would provide a return of $10,000. A 10% return on $95,500 only provides a return of $$9,550, a difference of $450.Over time, that difference grows significantly. Aristotle called compound interest the “eighth wonder of the world. Investment returns obviously vary over time. However, to show the impact that front-end load can have on returns, over a 10-year period, that difference would grow to approximately $11,672. The difference would grow to approximately $30,273 over a 20-year period. So, investors always need to adjust a mutual fund’s stated return for any front-end loads charged by a fund. If a fund does not charge a front-end load, then go straight to risk-adjusted return.The next step is to adjust a fund’s load-adjusted return for the amount of risk a fund incurred in producing its returns. A common saying is that return is a function of risk. The most commonly used factor in adjusting investment returns for risk is a fund’s standard deviation. InvestSense uses the standard deviation available at morningstar.com, as it provides standard deviation over several time periods. Costs – The late John Bogle of Vanguard fame was known for saying “costs matter.” And they do.Most investors are familiar with the concept of a fund’s annual expense ratio (ER). ERs include a fund’s management fee and a few other expenses. However, ERs do not include a fund’s trading costs.It is assumed that an actively managed fund will engage in trading the investments in the fund. Therefore, actively managed fund should incur higher trading costs than a passive/index fund. However, a fund’s trading costs are often referred to a “hidden” cost sine they are only reported collectively with other “operational costs.”Investors always want to select mutual funds that are cost-efficient, funds whose incremental, or extra returns, are greater than its incremental costs. Since trading costs are not separately reported by fund’s, InvestSense uses a metric created by John Bogle to create a proxy for a fund’s trading costs.That simple metric is to double a fund’s reported turnover rate, and then multiply that number by 0.60. For a fund with a turnover ratio of 25%, an investor would use 30%, or 0.30, for the fund’s trading costs. An investor then combines the fund’s stated ER with the trading costs number to get a fund’s total costs number to use in comparing mutual funds for cost-efficiency purposes. Increasing numbers of clients will realize that in toe-to-toe competition versus near–equal competitors, most active managers will not and cannot recover the costs and fees they charge. [T]here is strong evidence that the vast majority of active managers are unable to produce excess returns that cover their costs. [T]he investment costs of expense ratios, transaction costs and load fees all have a direct, negative impact on performance…. [the study’s findings] suggest that mutual funds, on average, do not recoup their investment costs through higher returns. If a fund is not cost-efficient, it effectively means that an investor is suffering a net loss. As one expert likes to say, “costs are negative returns. We all know that active management fees are high. Poor performance does not come cheap. You have to pay dearly for it. Each additional 1% in fees and costs reduces an investor’s end return by approximately 8% over 10 years and approximately 17% over twenty years. Investors should apply those same concerns to a fund’s underperformance relative to a comparable index fund. Investors should always look for funds that provide them with an opportunity for upside potential as well as downside protection. Copyright © 2019 InvestSense, LLC. All rights reserved. This article is for informational purposes only. It is neither designed nor intended to provide legal, investment, or other professional advice as such advice always requires consideration of individual circumstances. If legal, investment, or other professional assistance is needed, the services of an attorney or other professional advisor should be sought. I love Morningstar. It is my primary research source. I enjoy the posts of their columnists. But unlike most investors who use Morningstar, I basically ignore their legendary “star” system. Morningstar itself has told investors that their star system is not intended to be used for predictions of future performance. Various studies have examined the sustainability of a mutual fund’s “stars” rating and found an overall pattern of lack of sustainability. No, I love the “secret” side of Morningstar, the wealth of valuable information that allows me to evaluate other aspects of a fund, factors that have been shown to provide a meaningful evaluation of a fund’s value. Financial publications like to publish “best of” or “top” list at the end of one year or the beginning of a new year. In most cases, the lists are based on a fund’s nominal, or simple/stated, returns. The problem with nominal returns is they can often be misleading. For example, actively managed funds often impose a front-end load, or sales charge. The front-end load is immediately deducted every time an investor invests in the fund. The maximum front-end load currently allowed by law is 5.75 percent. That means if you purchase $100,000 of a fund, the amount you will have to invest will only be $94,250. As a result, the investor who invests in a fund that charges a front-end load will always lag the performance of an investor who purchases a no-load fund, assuming similar performance between the two funds. The odds of similar returns is increasing as many actively managed funds are posting high R-squared, or correlation of returns, numbers. Funds that essentially track comparable market indices and/or comparable index funds, are referred to as “closet index” funds or “index huggers.” The problem with closet indexing is that investors usually obtain the same, in many cases lower, returns that they could have obtained on a no-load fund, but at a significantly high cost. That is why funds are legally required to provide investors with their load adjusted returns. The impact of front-end loads reducing investor returns even worse over time due to the impact of annual compounding. Investors should also compare funds’ risk-adjusted returns. A basic principle is that investment returns are a function of risk assumed. Funds are not legally required to publish their risk-adjusted returns, and there are many methods used to calculate risk-adjusted returns. Many investors are unaware that Morningstar publishes a statistic that incorporates both a fund’s risk-related return and tax-efficiency score. It is available under the “Tax” tab on a fund’s Morningstar main page. “Secret” Morningstar also provides me with valuable information that I use in evaluating a fund’s cost-efficiency. While mutual funds proclaiming to be #1 in performance are common, how many investors have ever seen a mutual fund ad claiming to be #1 in cost-efficiency. Don’t expect to see one anytime soon, as studies have shown that very few actively managed funds are even close to being cost-efficient. In fact, studies consistently find that very few actively managed mutual funds even manage to cover their costs. comment h(2), which states that an actively managed mutual funds that is not cost-efficient is an imprudent investment. Re-read the last bullet point. Now combine that with the previous note that studies have consistently shown that very few actively managed mutual funds are cost-efficient. Funds that are not cost-efficient means that investors effectively suffer a new investment loss. Now take that information and review those “best of” and “top” articles again. make as much money as you can, and keep as much as you can. That’s the secret of getting rich. That is why I created the Actively Managed Value Ratio™ (AMVR). The AMVR is free on various parts of this site and allows investors, investment fiduciaries and attorneys to quickly evaluate the cost-efficiency of an actively managed mutual fund using the same “secret” Morningstar data that I use in my law practice. In other words, the AMVR can help you maximize your investment returns and protect that wealth. Full Disclosure and Total Transparency: I am an attorney. More specifically, I am a wealth preservation attorney and a plaintiff’s securities/ERISA attorney. I primarily offer forensic litigation and consulting services to individuals, trial attorneys and entities such as trusts, estates and pension plans. The goal of this post is to level the playing field, provide you with some information and a worksheet to help you better evaluate your investment choices, whether in a private investment account or a 401(k) plan or other form of pension plan. For some reason ERISA, the major legislation covering most private retirement plans, does not require that employers provide employees in their pension plans with meaningful investment education programs. I recently did an interview with Robin Powell of the “The Evidence Based Investor.” Robin is a well-known and well-respected journalist in the U.K. who is leading the movement for evidence-based investing. In the article, I told the story of an American CEO who suggested to me that the reason pension plans do not voluntarily provide meaningful educational programs for workers is that then the workers would realize how bad most pensions plans are and would possibly sue their employers. I believe that investors have a right to be treated fairly by being provided with a win-win situation, both in private investment accounts and pension plans. There is currently an ongoing debate about whether employees should be required to enroll in their company’s pension plans. In my opinion, that would be a significant, and costly, mistake for employers unless, and until, they ensure that their pension plan is compliant with ERISA and equitable to plan participants. Currently, I would argue that most are neither. The Supreme Court has stated that the Restatement (Third) of Trusts (Restatement) is a valuable resource in resolving fiduciary issues, especially involving ERISA questions. Section 90 of ERISA (aka the Prudent Investor Rule), comment b, states that fiduciaries have a duty to be cost-conscious. Section 90 of ERISA, comment f, states that in selecting investments for pension plans and other accounts, fiduciaries have a duty to choose investment that provide the highest level of return for a given level of costs and risks or, conversely, the lowest level of costs and risks for a given level of return. Section 90 of ERISA, comment h(2). states that fiduciaries should not choose or recommend actively managed mutual funds unless it is “realistic” to assume that such funds will produce sufficient returns to cover the extra costs and risk commonly associated with such funds, i..e., such funds are cost-efficient. And there is the rub, the investment industry’s “dirty little secret.” Investment ads and mutual fund companies love to tout investment return numbers. However, even the numbers they tout are often “highly suspect.” Ads touting “we’re #1” or “we’re the best” are common, based on nominal return numbers. How many investment ads have you ever seen touting “we’re the most cost-efficient fund?” Care to guess for the reason for the absence of such ads? The overwhelming majority of actively-managed funds are simply not cost-efficient. My focus on cost-efficiency is a direct result of the research of investment notables, including icons Charles D. Ellis and Burton G. Malkiel. With that information in mind, I created a simple metric, the Active Management Value Ratio™ 3.0 (AMVR), that allows investors, investment fiduciaries and attorneys to determine whether an actively managed mutual fund is cost-efficient, and therefore compliant with the standards set out in the Prudent Investor Rule. It is usually about this time that stockbrokers point out that they are not required to adhere to fiduciary standards, to put a customer’s financial interest ahead of their own. That’s not always true though. And as I tell people, even if it is not currently legally required that stockbrokers only recommend and use prudent investments in your accounts to protect your financial security, you can still make that a requirement in order to handle your accounts in order to protect your financial security? Your money, your rules. This is a snapshot of a AMVR analysis between the retail version of a leading actively managed large-cap growth fund, AGTHX, and a comparable Vanguard retail large-cap growth fund, VIGRX. The actively-managed fund actually outperforms the Vanguard fund based on nominal, or stated, return. However, the actively-managed fund imposes a front-end load/fee of 5.75 percent on purchases of retail shares, which is immediately deducted from an investor’s account. As a result, an investor will never receive the stated nominal fee since their account has less money to benefit from the fund’s future returns. In this case, an investor would have received a five-year annualized return of only 14.11 percent over the period from October 1, 2013 to September 29, 2018, not the stated nominal return of 15.47 percent over that same period. Note: All return numbers stated herein will cover the same period.) You get what you don’t pay for! A common saying in the investment world is that returns are a function of risk. There-fore, in order to get a more accurate evaluation of a fund, the fund’s returns need to be adjusted for the level of risk the fund assumed in achieving the indicated returns. In my practice, I use Morningstar’s risk-adjusted return methodology. Stockbrokers and mutual funds will often argue that “investors cannot eat risk-adjusted returns.” I find that argument interesting for two reasons. First, it is not unusual for actively-managed funds returns to improve on a risk-adjusted basis. Second, stockbrokers and mutual fund companies have no reluctance to tout a good “star” rating from Morningstar in their marketing programs. Perhaps they are unaware that Morningstar is on record as stating that their “star” system is based largely on a fund’s risk-adjusted returns. However, here the actively-managed fund under-performs the Vanguard fund on both a load-adjusted and risk-adjusted basis. As a result, the actively managed fund is imprudent based on returns alone when compared to the Vanguard fund. When an actively-managed fund fails to provide a positive incremental return, there is obviously no reason to perform an incremental cost analysis. Investors invest to make money, not underperform another comparable fund.However, I want to do one for the sake of example. Simple, straightforward math. “My, Dear, Aunt, Sally” from our elementary school math days._All of the information needed to complete an AMVR analysis is available for free online at sites such as morningstar.com, marketwatch.com, and yahoo.com. I like to add trading costs into the AMVR analysis based on Malkiel’s findings, However, an AMVR analysis is still valid without adding a fund’s trading costs. In this example, the nominal incremental cost between the two funds is 67 basis points (0.67). (Note: A basis point is 1/100th (.01) of one percent.) That means that the actively-managed fund’s incremental, or excess, costs constitutes 71 percent of the fund’s total costs, with the investor receiving absolutely no positive return for such costs. Investors need to remember that each additional 1 percent in fees and costs reduces an investor’s end-return by approximately 17 percent over 20 years. That loss would also need to be adjusted on a percentage basis based on the investment’s overall percentage within the investor’s total portfolio. Closet indexing is a serious problem in investment industries around the world. Closet indexing refers to situations where an actively-managed fund claims that it offers actively-managed funds and charges significantly higher fees based on the purported benefits of active management. However, more often than more, such funds simply track the performance of a comparable, less expensive index fund, wasting an investor’s money. Again, you get what you don’t pay for. To evaluate the impact of possible closet indexing, I perform a second incremental cost analysis using Ross Miller’s Active Expense Ratio (AER). It is not necessary to perform an AER analysis to benefit from an AMVR analysis. I simply perform the extra analysis due to my clientele and to further protect against cost-efficiency. A simple explanation of the AER is that the metric uses a fund’s R-squared number, or correlation of returns, to determine the extent to which an actively-managed fund tracks a comparable market index or index fund. The metric than adjusts a fund’s incremental cost number to reflect the effective cost of the fund in light of extent to which the fund’s performance is properly attributable to the active management of the fund, rather than a market index or comparable index fund. In the immediate case, the fund’s high R-squared number, combined with the level of the fund’s incremental costs, results in an effective annual expense ratio of 5.40 percent, significantly higher than the Vanguard’s expense ratio of 0.17. The resulting incremental cost constitutes approximately 95 percent of the actively-managed fund’s AER-adjusted effective annual expense ratio. High fees with absolutely no positive incremental return. Bottom line: An underperforming and overpriced fund is never prudent. Another class of mutual funds shares are retirement shares. Pensions plans should never contain mutual funds that impose any sort of front-end, back-end, or any other type of purchase load/fee. Never agree to pay such added fees, on either retail or retirement shares. There is simply no need, as there are excellent no-load mutual funds that do not impose such unnecessary fees. A longstanding debate in the investment industry is which offers the best retirement shares-Vanguard or Dimensional Fund, more commonly known as DFA. Both are industry leaders that offer low-cost, primarily index-based funds. But I always recommend that investors perform an AMVR analysis in evaluating funds. Once you learn where to locate the limited amount of data needed, you will find that an AMVR takes less than a couple of minutes. The retirement shares AMVR analysis compares an institutional DFA large-cap value fund, DFLVX, with a comparable institutional Vanguard large-cap growth fund, VIVIX. Comparing risk-adjusted returns, the DFA fund slightly under-performs the Vanguard fund, thus providing no positive incremental return. Once again, high incremental costs with no positive incremental returns based on either DFLVX’s nominal, or stated, returns or AER-adjusted returns. An analysis of the fund’s incremental returns shows the fund’s stated expense ratio constitutes 85 percent of the fund’s stated total annual expense ratio and 95 percent of the fund’s AER-adjusted effective annual expense ratio. Once again, the evidence clearly indicates that this particular fund is not cost-efficient and is thus imprudent relative to the Vanguard fund, in accordance with the standards established by the Restatement (Third) of Trusts and the Prudent Investor Rule. Each year “Pensions and Investments” (P&I) puts out an informative report listing the top 50 mutual funds in domestic defined contribution plans, such as 401(k) plans. At the end of each calendar quarter, I do an AMVR analysis of the top 10 non-index funds on P&I’s list. Plan participants and plan sponsors might find it interesting to check to see if any of their plan’s investments are on the analysis and, if so, check their current AMVR rating. The most current quarterly analysis is available on Slideshare. Investors, both individuals and pension plan participants, deserve to be able to have the investment information they need to adequately protect their financial security and “retirement readiness.” Plan sponsors deserve to have the investment information they need to help their plan participants work toward “retirement readiness,” as well as protect themselves against unnecessary and unwanted personal liability. Funds that are not cost-efficient result in unnecessary investment losses. Unfortunately, most studies indicate that the majority of actively-managed funds do not cover their investment costs, and thus are neither cost-efficient nor prudent. The Active Management Value Ratio™ provides a simple means of obtaining such information by determining the cost-efficiency of actively-managed mutual funds. The AMVR calculations require limited data, all of which is freely available at various online sites. In our analyses, we do provide one additional metric, our proprietary InvestSense Quotient, which analyses a fund’s efficiency, both in terms of cost and risk management, as well as a fund’s consistency of performance. (1) Does the fund provide a positive incremental return? (2) If so, does the fund’s positive incremental return exceed the fund’s incremental costs? If the answer to either question is “yes,” then the fund is not cost-efficient, and is legally imprudent. It is as simple as that. 2. Ellis, Charles D., “Winning the Loser’s Game: Timeless Strategies for Successful Investing,” 6th Ed., (New York, NY, 2018, 10. 3.. Malkiel, Burton, “A Random Walk Down Wall Street,” 11th Ed., (W.W. Norton & Co., 2016), 460. 4. Meyer-Brauns, Philipp, “Mutual Fund Performance Through a Five-Factor Lens,” Dimensional Funds Advisers, L.P., August 2016.